Make your Valentine’s Day celebration even sweeter by surprising your special someone with a heart shaped dessert filled with love! 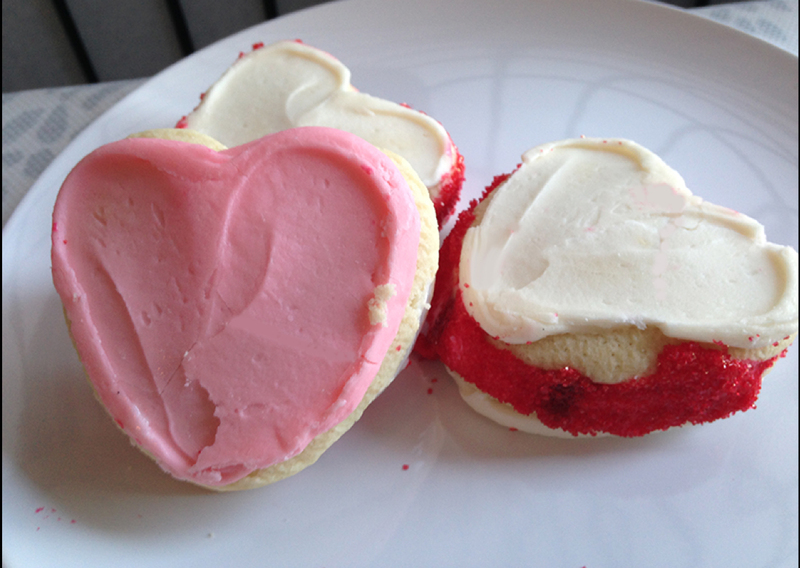 We used Cheryl’s famous Buttercream Frosted Cookies for a rich and mouth-watering treat sure to satisfy any sweet tooth! 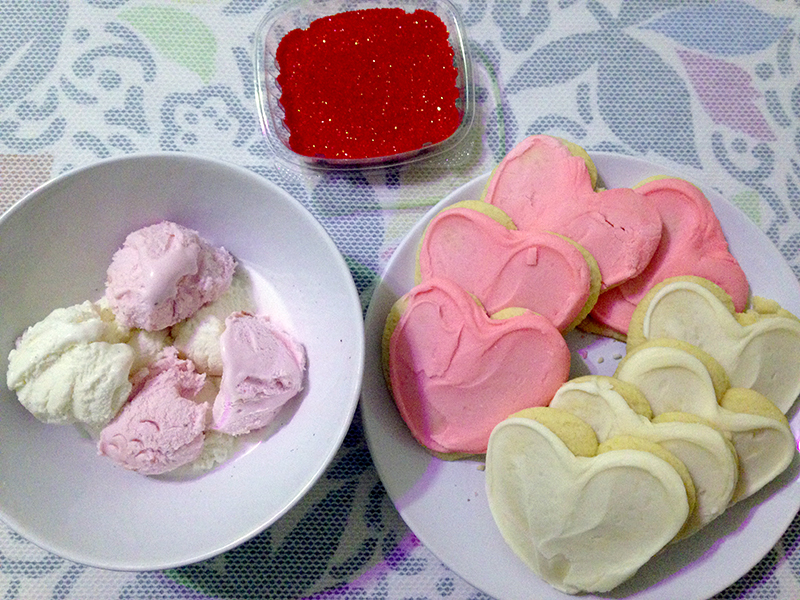 For a festive treat, we used strawberry ice cream with our white frosted cookies and vanilla ice cream with the pink frosted cookies, but these ice cream sandwiches can be customized to fit your Valentine’s flavor preferences. Use their favorite ice cream flavor and wow them with a dessert that you whipped up in less than 5 minutes! Place one large scoop of ice cream on the inside of the cookie. Take the other cookie and squeeze together, slowly and carefully. Use a spoon or spatula to clean off any excess ice cream. 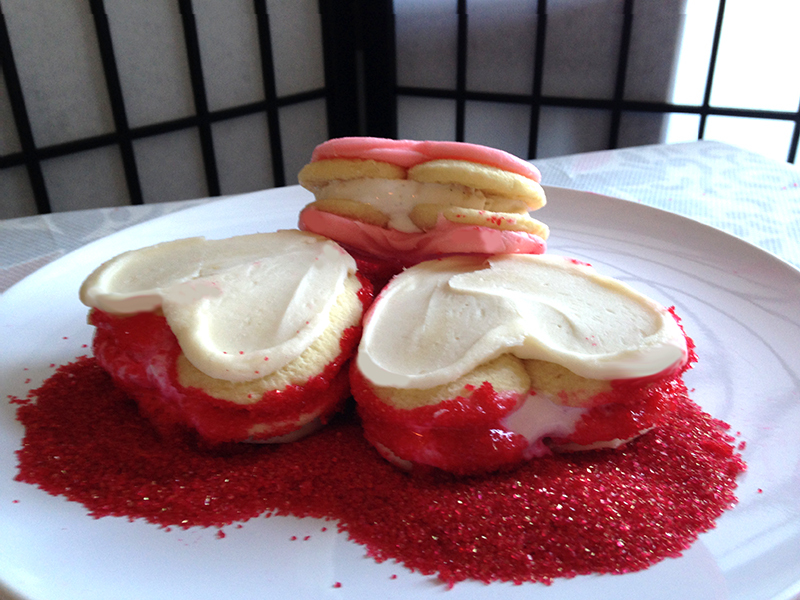 Then, simply roll your ice cream sandwich in the sanding sugar – the ice cream acts as a tasty adhesive! 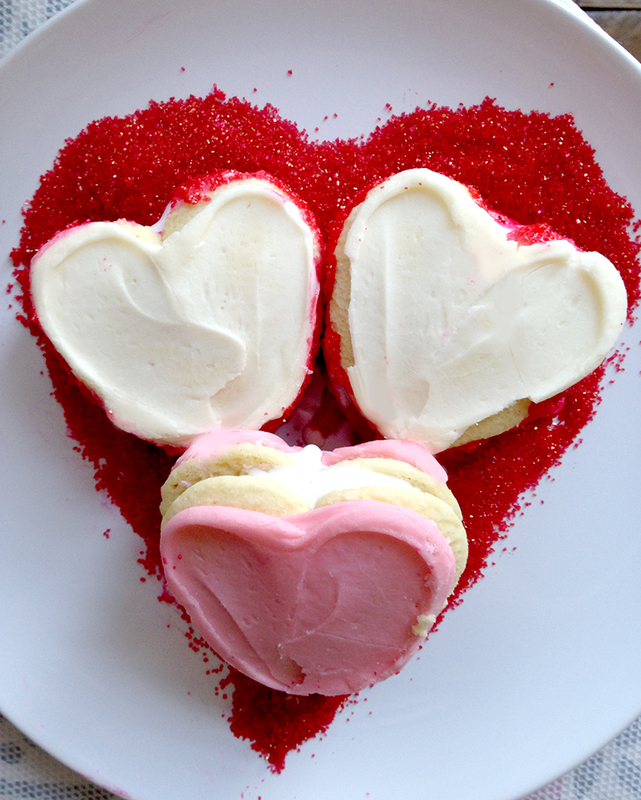 Serve alongside a tall glass of milk for an extra sweet Valentine’s Day!